With over 3000 fence installations, in the last 16 years, they know how to install a fence that works best for your dog’s safety and comfort and insures you will never buy another component for your underground dog fence and guarantees the safety of your boundary wire. Pet Stop North Georgia uses 14 and 16 gauge wire with a 50 Mil jacket. The Sinteff’s use only state of the art components, made in the USA, which come with a life-time warranty against malfunction for any reason. 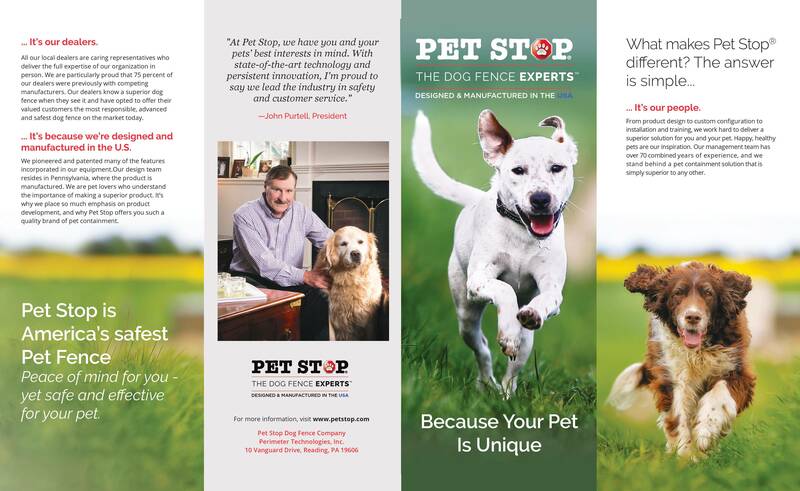 We guarantee that once you install Pet Stop, you will never buy another piece of equipment for your fence. 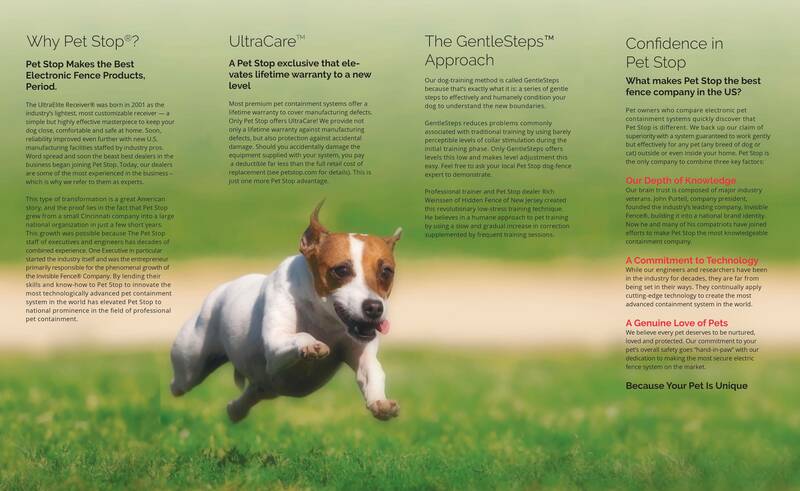 Our fences come with life-time warranties on all components and life-time containment guarantees with each dog collar we sell. Boundary Wire: Mike, Adam, install your pet’s boundary wire within 6 inches of sidewalks, driveways and curbs as well as 6 inches off your property line. We never run your wire where it will be in danger of being cut by your landscaper. We guarantee and protect your boundary wire. 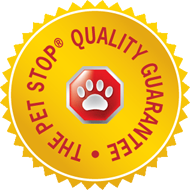 System Protection in installation, Pet Stop takes a little longer to install and is a little more involved, but to the team at Pet Stop, the extra time and materials spent is worth our effort. We work hard to minimize any possibility of a service call after the installation. We are the only company in Atlanta to install three forms of lightening and surge protection with every installation. Service Call Prevention: Through many installation enhancements and Pet Stop’s swap-out program, we have almost eliminated your Service Call cost. If a component stops working for any reason at all, and you are willing, we will gladly mail you the replacement component and you will mail us the component that does not work any more. After the installation we will take you on a component by component tour of your new hidden dog fence, we will ensure you understand your new dog fence, how it functions and what we did to protect its function. We will locate your utilities and activate your sprinkler system before we install so we know where everything is. If we break it we fix it, “no questions asked”. Gentile Steps Training: After the installation we will do a “Train the Trainer” session with you and your family. We will explain how your family pet will interact in his new electronic dog fence. He will be safely contained, we guarantee it or we refund 100% of your investment. If you are having problems with your family pet using his new yard, we will come out at no cost and give you a hand. To see brand comparison on a mobile device click here. MANUFACTURING COMPANY Perimeter Technologies, Inc.
By Contract Manufacturers Sunward Electronics, Inc.
By Contract Manufacturer Dogwatch, Inc.